Property transaction levels have increased across the prime central London market for the last three quarters after seeing prices fall by 7% in 2016, the latest analysis report shows. Whilst London has historically been the primary driver of national house price growth, in 2016 the region was outperformed by the outer South East, East Anglia and the South West regions, according to the report from S&P. Vanessa Hale, research partner at the firm pointed out that while UK house prices grew 4.1% year on year to the first quarter of 2017 but in the prime central London market it was a very different story. With a fall of 7% in 2017, prices in prime central London are now around 13% down from their 2014 peak. ‘The first quarter of 2017 has however seen a slight upturn in purchaser activity and realistically priced, good quality stock is selling reasonably well,’ said Hale. Meanwhile, in the prime central London lettings market, the take-up of new rental tenancies increased by 22% in the first quarter of 2017 compared to the same time last year. Rental prices also seem to be holding up. The data shows that in prime central London sales in the sub £2 million sector fell by 32% in the first quarter of 2017 compared to the same period in 2016 but the analysis shows that the entire market at all price levels is down 27% for the same time period and follows three consecutive quarters of increased transactions. It is believed that the market may have already experienced the bulk of price falls and the report says that the recent weakness in sterling has played a part in attracting overseas buyers and given a spur to higher value market sector activity. However, UK domestic buyers continue to dominate the prime central London market with UK expat buyers seeking homes in the country over £2 million and are likely to be taking advantage of the US dollar strength against the UK pound. ‘We have seen a positive change in buyer sentiment and an uplift in transaction levels in the first quarter of 2017 compared to the end of last year. Values have now softened by up to 10% and buyers realised there are good opportunities out there,’ said Charlie Willis, head of London residential agency. ‘Sellers are beginning to understand the importance of realistic pricing. Stamp duty which was a concern for many buyers last year, is no longer causing such an issue and the market has absorbed this extra taxation,’ he added. The report also shows that the last few years of tax changes and higher property purchase costs have impacted the country house market for properties priced above £2 million but the market continues to attract buyers. ‘In the regions we are seeing higher transaction levels than this time last year and prices are holding up. The main drag on the market is the time it is taking for transactions to go through, currently around 12 weeks on average. More legislation and an increased number of hoops to jump through is elongating the process,’ said Guy Robinson at S&P. S&P and its economic forecasters Volterra are forecasting house price rises of 3% across the UK in 2017, with no growth in the prime central London market as a best case scenario. 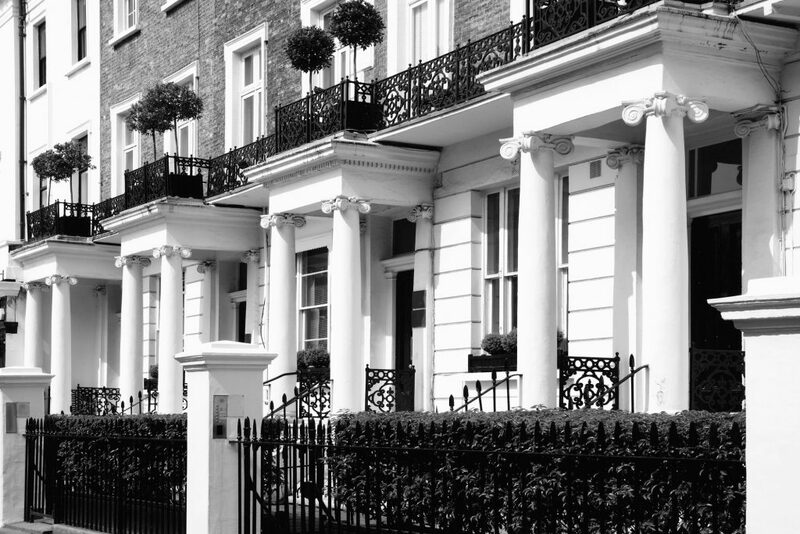 ‘It is likely that much of the downward pressure on prime central London house prices because of Brexit and stamp duty changes has already been experienced. Although transaction volumes seem to be picking up across the market, we continue to be mindful of the political uncertainty in the UK and across the globe when forecasting,’ Hale concluded. Galleon – London Property Search.